The iPhone X has become one of Apple’s most popular devices yet. The device offers a range of exciting features, including its generous battery life, outstanding appearance, enhanced telephoto camera, exceptionally smooth screen and innovative Face ID feature. Coming complete with a host of new and improved camera features, the iPhone X has helped Apple retain its reputation as one of the most pioneering and popular brands of all time. Let’s take a look at some of the0 best camera features the iPhone X has to offer right now. The phone has a brand new rear camera with two lenses in a vertical orientation. This new orientation has been chosen to provide more space for the front-facing TrueDepth camera. This camera is tasked with powering the Face ID feature. The TrueDepth system also has a f/2.2 7-megapixel camera for selfies. The feature means Portrait Mode and Portrait Lighting are supported in front-facing mode. 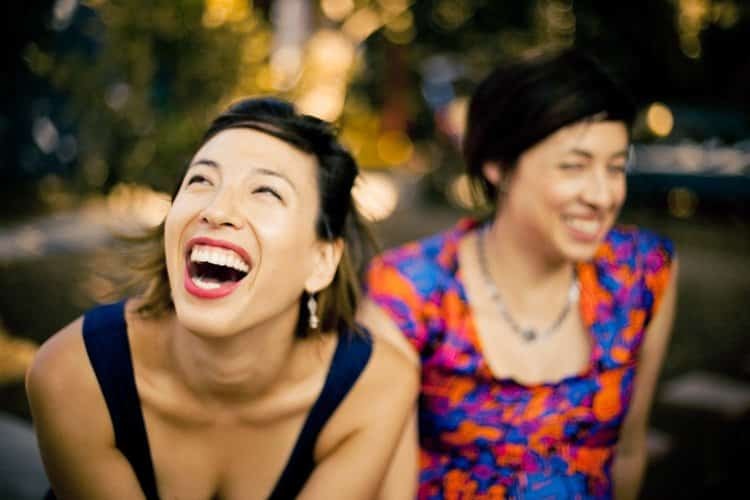 With Portrait Lighting, you can dynamically adjust your photo’s lighting with ease. TrueDepth uses an infrared emitter to project more than 30,000 in a recognised pattern onto users’ faces, before photographing the dots for analysis. The function is strengthened with a proximity sensor as well as an ambient light sensor which allows output light levels to be set. With previous versions of the iPhone Plus, the depth maps were only used to blur backgrounds and make subjects pop against them. However, the iPhone X takes the depth information from the two lenses as well as the efficiency of the A11 Bionic chip to offer outstanding new special effects. Portrait mode uses your iPhone X’s telephoto lens kit to create images with “bokeh”-esque backgrounds and foregrounds. 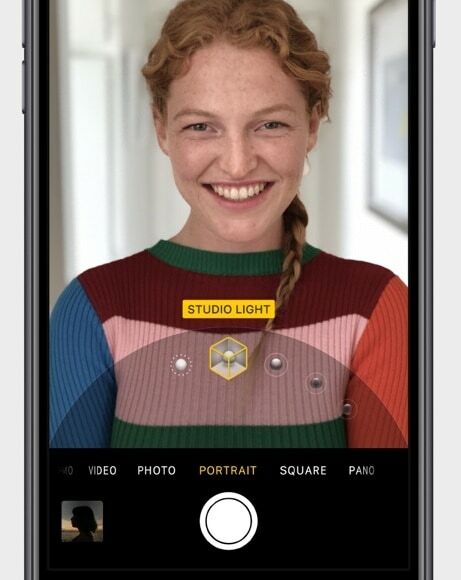 Portrait Lighting also comes as part of the Portrait Mode with the iPhone X, utilising both machine learning and the depth map of Portrait mode to add exceptional lighting effects to your photos in real time. When you shoot in Portrait mode, the wide-angle measures the difference between what it and the telephoto can see to offer a multi-point depth map. The depth map itself creates artificial depth of field. There are many iOS 11 Camera app features available that will help you make the most of Portrait mode, including flash, filters, HDR and timed photos. You can even create a live-type Portrait photo by recording the screen of your device whilst in the Camera app. To take a photo of a person in Portrait mode, take the following steps. Stand between two to eight feet of your subject, allowing the face and body detection feature to identify your subject. Follow the app’s prompts, which can include “Flash may help”, “move farther away”, and “more light required” amongst others. Swipe or tap the cube icons above your shutter button to change the lighting effects if needed. To take your photo, press the shutter button. The iPhone X is also noted for its first-class video shooting capabilities, including its 4K video feature. Though previous iterations of the iPhone were already rather adept at shooting in 4K, the new devices are even more impressive and have been favourably compared to the GH5 in terms of quality and clarity. The new device has been complimented for its vibrant colour profile and its ability to deliver 4K video that matches a wide range of leading DSLR and mirrorless cameras. It’s possible to capture video in 240fps slo-mo at 1080p and 4K at 60fps. There are many great reasons for investing in the iPhone X if you are interested in carrying a high-end camera around in your pocket. The phone is the smallest yet to feature two 12MP rear-facing cameras, with the updated telephoto lens also being a big draw for many. The lens has been optically stabilised and had its aperture boosted to f/2.4 from f/2.8. The phone is now able to offer vastly superior performance in low-light conditions, with the sensor having been completely rebuilt and a brand new image signal processor offering stunning colours and textures. In fact, the phone is able to perform convincingly in low-light conditions even when there are multiple light sources competing. The phone has also been praised for its wide range between light and dark colours. The Face ID function has proved to be incredibly secure, unlike earlier facial recognition systems which could easily be tricked by with the use of photographs or videos. It’s now possible to be more creative than ever with your iPhone’s camera whilst benefiting from a wealth of robust security features.